Looking for a Mazda dealer in southern California? Look no further than Mazda of Escondido, where it’s our mission to provide customers with “simply the best” automotive experience. We’ll never pressure you; we want you to feel comfortable with your car purchase. Additionally, our friendly, courteous staff is available to answer any questions you might have — and we accommodate Spanish speakers. Wondering how much is an oil change at a Mazda dealership? Searching for Mazda service coupons? 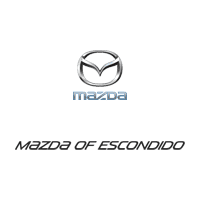 Rely on the Mazda of Escondido service department for top-notch work every single time. We even offer Mazda parts specials so you get the parts you need for the price you want. Contact Mazda of Escondido in North San Diego County for more information about our new Mazda and used vehicle inventories, our comprehensive selection of genuine Mazda OEM parts, and our reliable automotive services. We’ve been serving the San Diego area for over 24 years, and our staff has a commitment to customer satisfaction and is ready to assist with your automotive needs. Have a suggestion for us? We’re always open to any ideas you may have about how we can serve you better!